The SFA Shows Its Bias Again As Steve Clarke Is Charged For His Discipline Panel Comments. 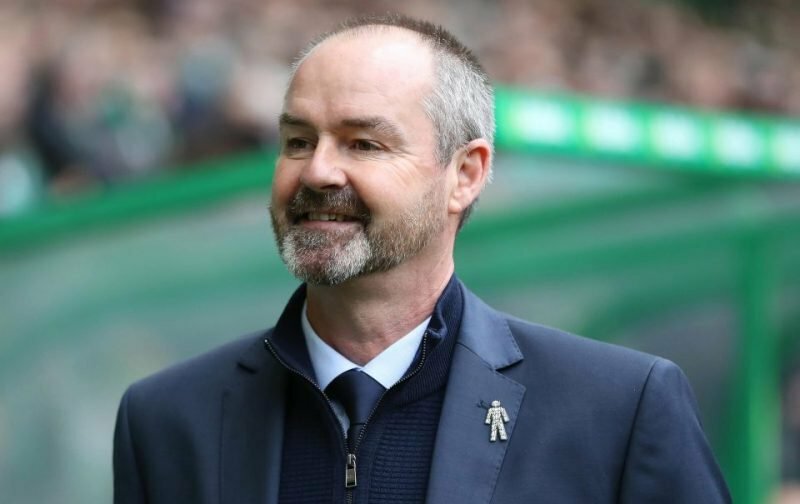 The bias of the SFA’s disciplinary process has never been more apparent than it is this evening with the news that Kilmarnock boss Steve Clarke is being cited for his comments about the appeal panel in the run up to the last set of SPL fixtures. Clarke spoke out after his player, Gary Dicker, had his red card confirmed by the governing body although the club was adamant that it was undeserved. He pointed out that the ref who made the initial decision had been handed the Celtic – Sevco tie, and speculated that perhaps that choice would have been called into question had the red card been overturned. He did not allege bias. He suggested that the SFA was playing politics with his player. Tonight he has been charged with “alleging bias or incompetence” and his club has been charged because they allowed his statement to be published. It hardly needs pointing out that there is a glaring, colossal, and diabolical double standard here. Gerrard was not shy when he alleged bias over the Morelos red card. He did more than allege incompetence after the Celtic Park game, and he is not the only person at Ibrox who has brought the game into disrepute in this manner. I wish I could offer Kilmarnock my sympathies, but tonight they’ve been done up good and proper by the governing body and until they say that, and point out this blatant example of how there’s one rule for the Ibrox club and a different one for theirs they deserve everything they get. It is clubs like theirs who continue to stand in the way of the inquiry that will root out the kind of people who allow such a biased approach to governance in the first place. I cannot express enough my anger at this decision. It is so obvious as to take your breath away. They are now open about their contempt for the other clubs. They are not even attempting to hide it any longer. One club lives by different rules than the rest, and I do not blame those inside Ibrox for taking advantage of this situation; the fault lies with the so-called administrators of our game who not only brazenly allow it to go on, but now appear confident enough to advertise the fact.